When it comes to investing in a life insurance policy, it’s imperative to know what you’re getting into. Some types of policies do not offer the kind of complete coverages that consumers may be looking for, while others may provide more coverage than they actually need. In this article, we’re going to give you an overview of the two basic types of life insurance and explain the benefits each type of policy has to offer. Term life insurance is designed to provide instant, basic coverage to consumers who are in need of life insurance for a pre-determined amount of time. Term life insurance policies pay a death benefit to the insured in the amount of the policy limits that were purchased. Term life insurance policies are purchased in five year intervals, such as 5 years, 15 years, 20 years or 30 years – and the premiums will not increase for the duration of the policy. However, once the policy is renewed the premiums will increase, depending on current market prices. Term life insurance policies are strictly death benefits only and will only be paid upon the death of the insured. They have no cash value nor do they accumulate interest which can be borrowed against with loans or cash advances. Because no additional financial benefits are offered with term life insurance as they are with whole life policies, they tend to be the cheaper alternative of the two. 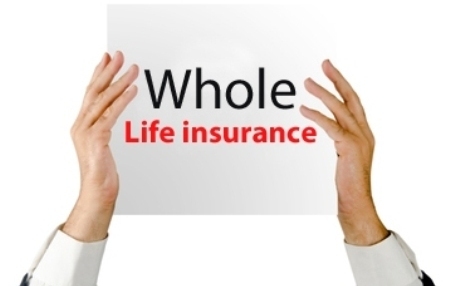 Whole life insurance policies offer certain ‘living benefits’ to policy holders, along with the guaranteed death benefits that are paid upon the death of the insured. 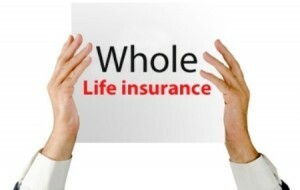 Whole life insurance policies accumulate cash value for the duration of the policy, so long as the premiums are paid. The cash value of whole life insurance policies can be borrowed against in the form of policy loans, based on how much has been paid into the policy at any given point. Whole life insurance policies are also entitled to dividends, which are paid by the company and increase the policy’s cash value over time. Whole life insurance policies can never be canceled by the insurance company, due to changes in health or any other reason. So long as the premiums are paid, the policy remains in force for life. Premiums for whole life insurance policies, although higher than term life insurance premiums, never increase – unlike term life insurance premiums. That’s a question that only you can answer. However, if your funds are limited, but you still want to invest in a life insurance policy, term life insurance may be the better option. Be advised that your premiums will increase – sometimes dramatically – over time, but it’s a good short term option for those on limited budgets. Overall, whole life insurance is the better option for everyone because of the long term financial benefits that it provides. Your local insurance agent can discuss your policy needs with you and help you make an informed decision about your life insurance investment.